South Korea's Cabinet on Tuesday approved a bill that would allow the opposition parties to pick candidates for an independent counsel to investigate the influence-peddling scandal surrounding President Park Geun-hye and her confidante Choi Soon-sil, source from the Yonhap. The nod came around a week after the bill was passed by the National Assembly, after parliament's legislation and judiciary committee agreed to allow the opposition parties to recommend candidates. The endorsement was announced at the Cabinet meeting presided over by Yoo Il-ho, deputy prime minister for economic affairs. Park has not been attending Cabinet meetings for six consecutive weeks after facing the biggest crisis of her political career. 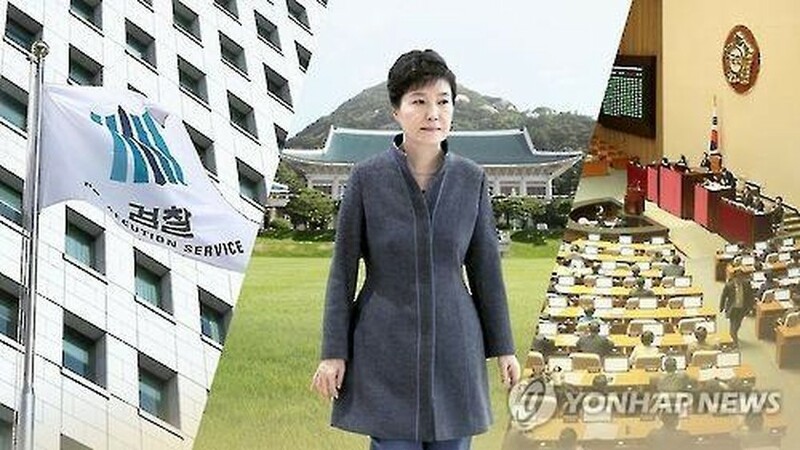 A presidential spokesman said Park will give final approval to the bill as planned, despite concerns the chief executive may not accept the endorsement after rejecting charges levied against her by state prosecutors who have been carrying out the investigation into the scandal. Park is expected to sign the bill into law later in the day, a presidential official said, declining to be named. The law is expected to take effect on Wednesday after it is put on the official state gazette. On Sunday, prosecutors booked Park as an "accomplice" in the criminal case surrounding Choi and key former aides. Park's attorney made clear that the preliminary results are not true and are based on the wishful thinking and conjecture of investigators. He then questioned the fairness and credibility of the probe, with the presidential office Cheong Wa Dae even hinting that the prosecutors are approaching the issue politically instead of adhering to strict interpretation of the law. Under the bill, the main opposition Democratic Party and the splinter People's Party will select two candidates for the independent counsel, with Park officially designating one of them to the post. Around 105 investigators will join the team to study deeper into the corruption scandal. The independent counsel will have 20 days to make preparations for the investigation, followed by 70 days to complete the probe. Upon approval from the president, the period can be extended by 30 days.